Part of the former hospital for sick and the poor erected through the will of Mary Mercer and opened in 1734, only the towers and facades survive of the Victorian wing. 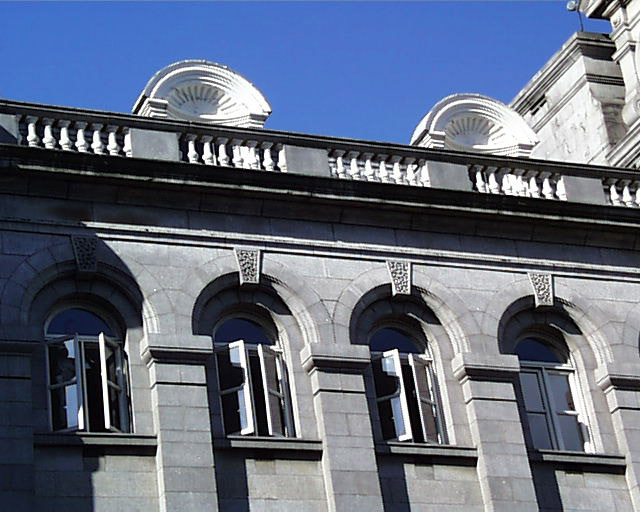 With its spiked cupola, it is a landmark ending the vista of South King Street, Stephen’s Green North and Merrion Row. This fine Victorian building designed by J.H. Brett was the result of an architectural competition in 1884. 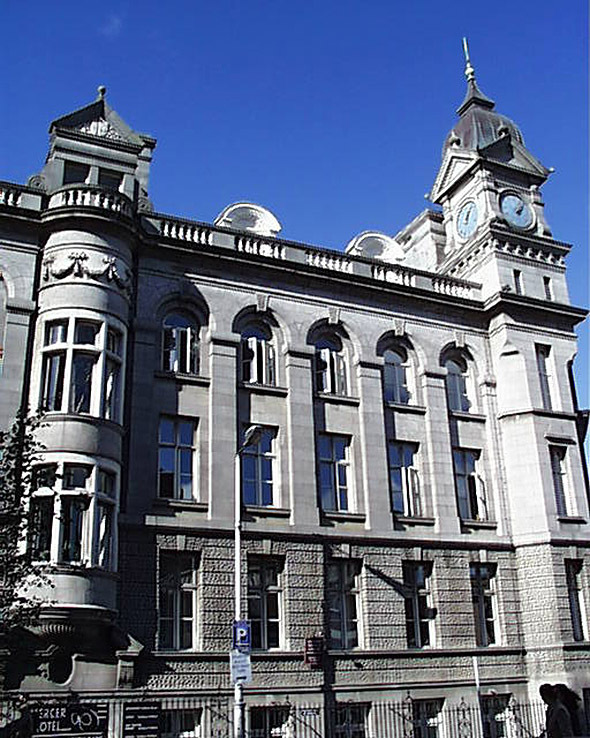 Now part of the Royal College of Surgeons, the building was gutted and now contains modern office and library accommodation.